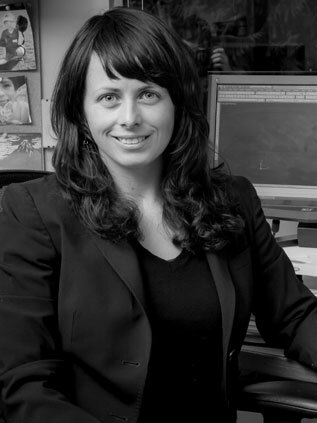 Emily Amirault | Emily Amirault | Ecosign Mountain Resort Planners Ltd.
Emily Amirault is a senior designer in Ecosign’s Base Area Planning department. Emily has a Bachelor of Landscape Architecture from the University of Guelph and joined the Ecosign team in 2006. Emily has been involved with a wide variety of resort design project throughout her time with Ecosign from large scale regional tourism planning to small scale detailed site design. She has travelled extensively to mountain resorts in North American as well as to Europe, Russia, China, Eastern Europe and Scandinavia. Emily leads Ecosign’s Nordic Ski Facility department and was the principle designer of the Nordic Facility in Beijing’s winning bid for the 2022 Olympic Winter Games. Emily has had experience as the lead designer of village redevelopment master plans for several resorts in North America including Breckenridge, Keystone, Telluride, Alta and Steamboat Springs. These complex projects have required resolution of transportation planning, urban design, staging analysis, pedestrian circulation and the client’s objectives for attractive accommodation development. Emily brings international experience and a personal passion for mountain culture to all of her projects.